How About 99.9 Percent Renewables? 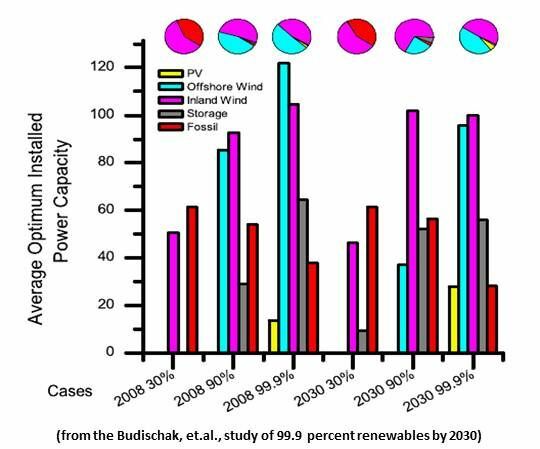 Peer-reviewed study says wind, PV solar, and storage can do it cheaply. Combinations of onshore wind, offshore wind, and photovoltaic solar, paired with battery and hydrogen storage in a widespread grid system, could meet 90 percent to 99.9 percent of expected 2030 demand at almost no increased cost, according to a new study. The priority of the Regional Renewable Electricity Economic Optimization Model (RREEOM) was to see if demand could be met largely with renewables at an affordable cost. The model used prices that left out federal and state subsidies but included the costs of fossil fuel externalities. To approximate a grid operator’s real world imperative to keep the lights on, the researchers modeled into RREEOM the PJM Interconnection system, a thirteen-state load that accounts for about 20 percent of U.S. electricity demand at approximately $0.1745 per kilowatt-hour. The transmission model was limited to PJM’s grid and ignored reserve requirements, within-hourly fluctuations and ramp rates, all of which, it assumed, would be easily met with the hypothesized storage. The varying sufficiencies and costs of more than 28 billion different combinations of renewables and storage were studied over a hypothetical four-year (35,040-hour) time period using actual PJM historical data to approximate real demand and real weather patterns. Historical insolation and wind data from DOE and NOAA were used for each hour being modeled. 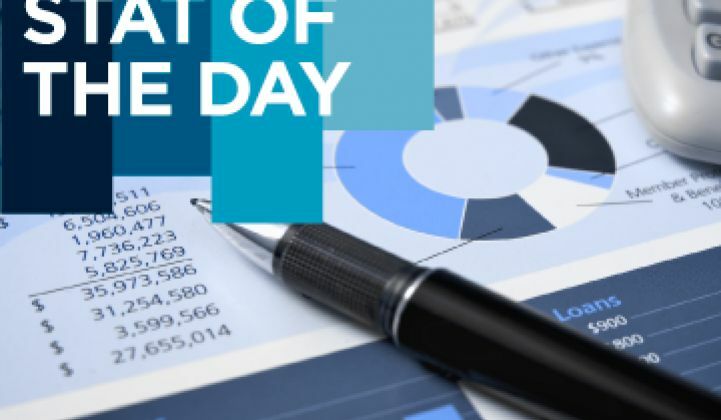 “We find that 90 percent of hours are covered most cost-effectively by a system that generates from renewables 180 percent of the electrical energy needed by load, and 99.9 percent of hours are covered by generating almost 290 percent of need. Only nine hours to 72 hours of storage were required to cover 99.9 percent of hours of load over four years,” the report calculated. So much free fuel from renewables would be available across the geographically dispersed 72-gigawatt PJM grid region that it would not only almost eliminate the need for natural gas reserves, but would also keep the power price low and minimize the need for incurring the cost of battery storage. When there was excess generation, the model stored it. When there was inadequate supply, the model first used the stored generation and then, in a very few instances, natural gas for heating. The most potentially controversial assumptions in the study were 1) that the price of renewables will be 50 percent lower by 2030, though operations and maintenance costs remain constant, and 2) that fossil fuel prices will include external costs now paid by taxpayers and health insurers [quite an assumption, even with a carbon tax -- Editor]. 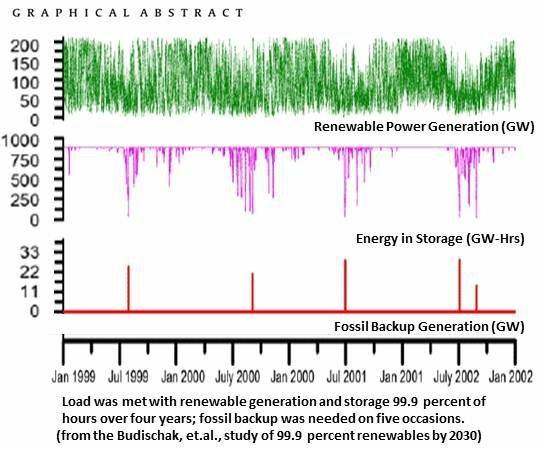 A study from Stanford’s Mark Jacobson and Mark Delucchi, the study noted, used eight renewables in conjunction with increased transmission and vehicle-to-grid storage technology to meet the entire world’s electricity needs.